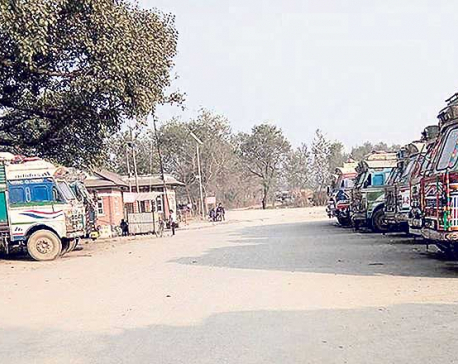 KATHMANDU, June 15: While patients often struggle to get blood transfusions at various hospitals here due to supply shortages , it is reported that blood components collected by various blood banks in Nepal are being sold across the border. A meeting held recently at the Ministry of Health (MoH) expressed serious concern over the cross-border blood sale, according to a participant at the meeting. "The meeting pointed out that selling blood to another country was akin to human trafficking and action should be taken under anti-human trafficking law against those involved in such activities," he said, requesting anonymity. All blood collected at blood banks is tagged by the Central Blood Transfusion Service Center (CBTSC) of Nepal Red Cross Society (NRCS). "There is always a blood supply crunch of up to 30 percent," said Dr Prakash Yadav, deputy director at CBTSC. According to experts, some blood components must be transfused within 72 hours while some other components can be stored for up to 35 days or even up to six months, if the storage is at minus 40 to minus 60 degrees Celsius. Due to such storage requirements, collected blood sometimes ends up not being used. Staff at Bir Hospital and Civil Service Hospital informed that many units of blood are thrown away because of the expiry period. CBTSC, established 51 years ago, has its central office in Kathmandu and branches in Biratnagar, Pokhara, Nepalgunj and Chitwan as well as emergency blood transfusion centers in 17 districts and hospital units at 25 places. The big price differential is considered to be a major factor behind the practice of blood smuggling. Generally, a unit of blood is sold to patients at a price ranging from Rs 495 to Rs 675. But a unit of blood from the Tarai districts has been sold in India for Rs 5,000 to Rs 10,000, said sources at CBTSC.
" Some individuals might have smuggled the blood across the border, and sometime we are blamed for selling it," said the CBTSC officials. Deputy Director Yadav also said they have heard about the smuggling of blood across the border. 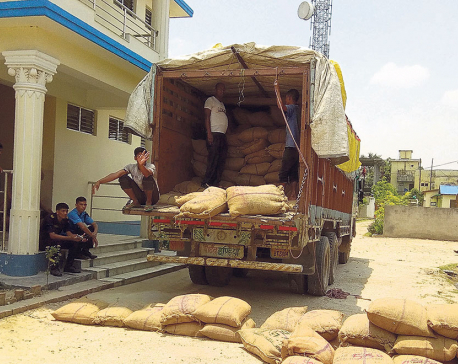 "NRCS got dragged into controversy over such activities in the Tarai," he explained. "Private blood banks might have sold the blood, charging additional money. But people easily believe the involvement of the Red Cross because all blood packages are tagged with the CBTSC label." Dr Yadav further said that people in the Tarai usually go to hospitals across border for treatment. "These patients might have been given blood coming from here," he said, admitting that the cost of blood in India is 10 to 20 times higher than the normal rate in Nepal. "We should work with the National Public Health Laboratory (NPHL) to discourage the selling of blood across the border," he added. Dr Raj Kumar Mahato, director at NPHL, said that they also received reports about the smuggling of blood to India in the past. "I have not heard of any such smuggling of late," he said, adding that Nepal has no specific laws concerning these matters. Bhogendra Raj Dotel, spokesman at MoH, also admitted that there were no laws to stop the smuggling of blood. "In a country where kidneys are smuggled, we can't say that smuggling of blood has not taken place," he said. "This is a matter for serious concern. Even if there is no specific law it is an issue of morality and ethics," he added. "The Red Cross cannot sell blood across the border and if any unit of collected blood is sold under its tag, it must take the initiative to stop it." It is a humanitarian responsibility to provide blood for saving lives across the border during emergency situations, but the quality and other norms should be defined by law, said Dotel.